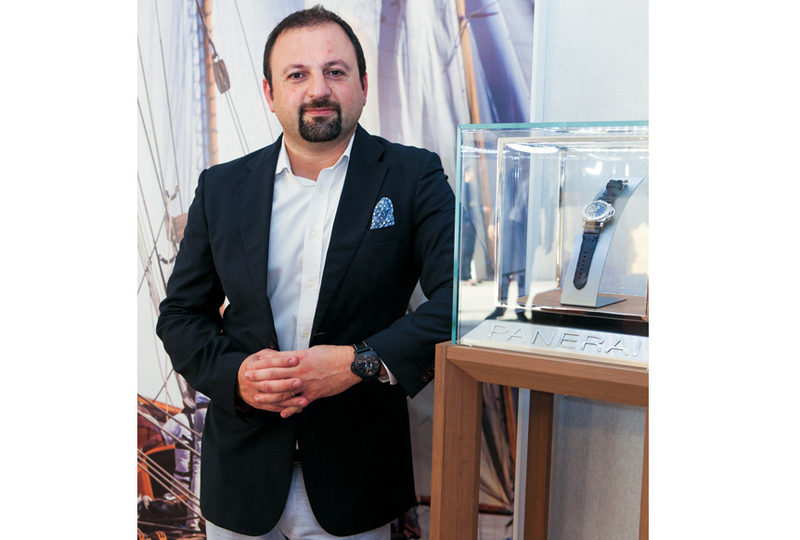 Under the partnership with Dubai Boat Show, Officine Panerai whose history is closely linked to the sea, is present with an exhibition of his submersible watches in the registration room for VIPs. An opportunity to meet for lovers of the marine world and Panerai watches. Milvin George, Regional Director for the Middle East, Turkey and India for the brand, takes us into the exclusive world of Panerai. 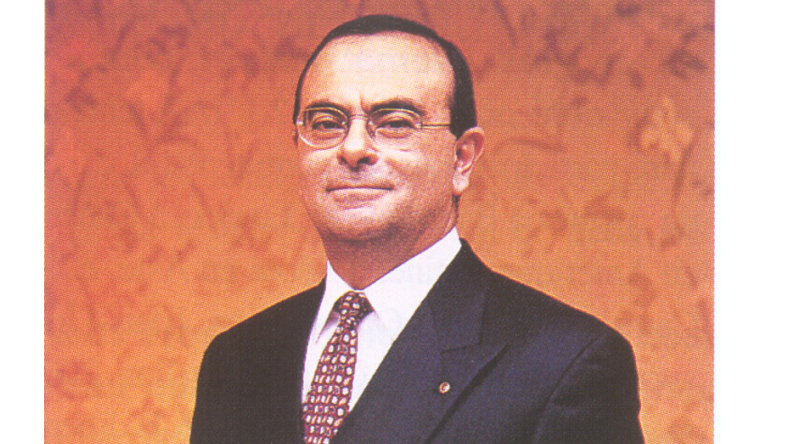 Milvin George, Regional Director Middle East, Turkey and India of Officine Panerai . Why Officine Panerai has been participating in Dubai Boat Show for several years? The history of Officine Panerai is closely linked to the sea. Indeed, Officine Panerai has created its first diving watch for the Italian Navy in 1938 and Dubai Boat Show, an event organized by the World Trade Center, is an ideal platform of connections for lovers of the marine world. Our partnership goes back to five years ago and we see that every year the number of people who come to Dubai Boat Show continues to grow.It has become a key meeting place for VIPs, passionates of the sea, collectors and fans of Panerai watches. It attracts 25,000 visitors to the region, mainly Kuwait, Qatar and Saudi Arabia. What do you have for this event? 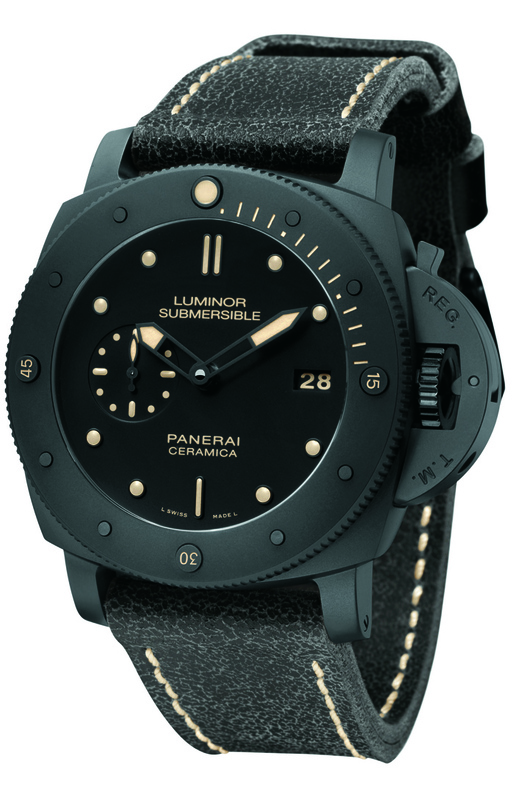 Since it is a Boat show, it is an opportunity to present the exceptional line Luminor Submersible, the new chronoflyback and family Radiomir 1940 watches of Officine Panerai. Thus, we present for the first time after the SIHH diving watches with ceramic watchcase in addition to those in bronze or titanium. We exhibit watches bearing the movement in house, because as you know, Officine Panerai opened its factory in Neuchâtel in 2002 and launched in 2005 its first manufacture movement P.2002, in grandiose festivities in Florence. Officine Panerai develops and manufactures its own movements in Neuchâtel, combining Italian design and Swiss expertise. As a brand of sports watch of High quality timepieces, our presence in this important event allows us to focus on our roots and our identity related to the sea. View of the VIP Room Panerai at Dubai Boat Show. Marine atmosphere inspired by the Panerai Classic Yachts Challenge, the international regatta circuit for vintage and classic yachts, sponsored by Panerai since 2005. Officine Panerai, founded in Florence in 1860 was a specialized institution of watches, which included a shop and a school. For years it has been the official supplier of precision instruments for the navy of the Italian military. Aboard their submarine torpedoes, combat divers have made epic exploits, with their wrists accuracy thanks to Radiomir and Luminor luminescent watches. 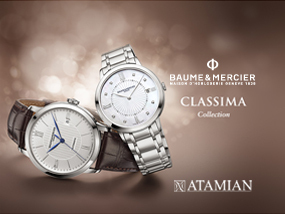 Covered by the military secret for many years, they were made available to the general public in 1997, following the acquisition of the brand by the Richemont Group. For how long have you been the Regional Director for the brand?I joined the company in June 2007. 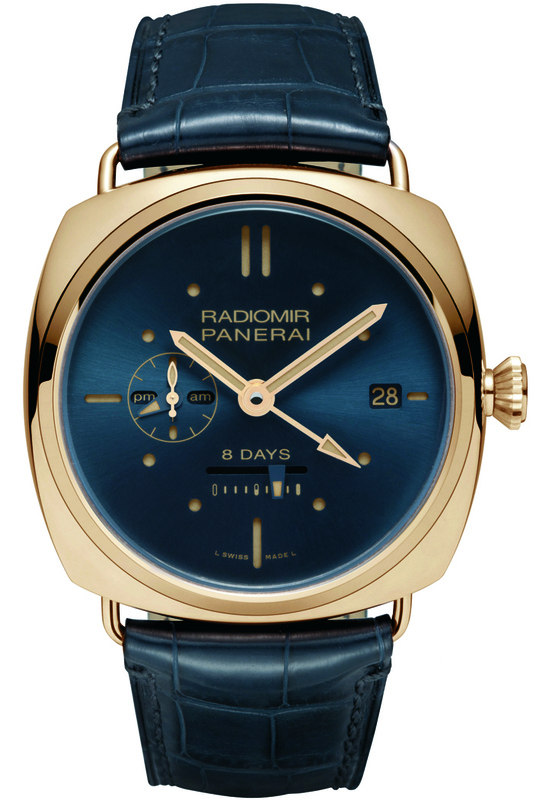 I am proud to work for Officine Panerai, a very specific brand of watches. 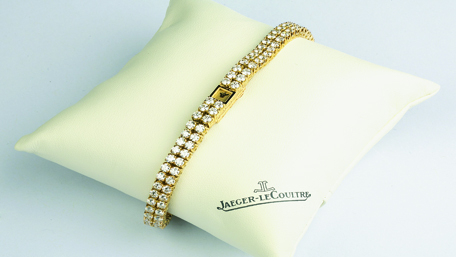 Because it is very important to know how to maintain its exclusivity during its expansion and promotion. It must be meticulously worked within a well-defined market segment. Any expansion should be thoughtfully and carefully studied alongwith the location. Projects require adequate investment in addition to the location and timing. Over the past ten years we have developed many projects of distribution throughout the Middle East, India and Turkey. The first store in the Middle East was opened in DubaiMall in 2008. It was followed by other stores in Doha Villagio, in Beirut Souks, in Jeddah, Riyadh, inTahlia at the Rashid Mall Khobar, Oman next to the Opera House, Kuwait, Hamra Mall, two shops in Abu Dhabi, Sowwah Square and Ettihad Tower, Bahrain, plus Istanbul and Mumbai at the Taj Mahal hotel with thirteen boutiques in the area to date. The shop can present our entire collection and to listen to our customers to offer a quality service with a staff well trained. Our goal is to fully satisfy our customers and maintain the image of the brand. The shop is also a meeting place for collectors and friends of the brand, for coffee, share their impressions as in the Paneristi club, fans of the brand who exchange their ideas and discoveries on their website and follow the news and Panerai events worldwide. Tell us about your latest project. The latest project is the renovation with a new concept of the boutique Dubai Mall last December. 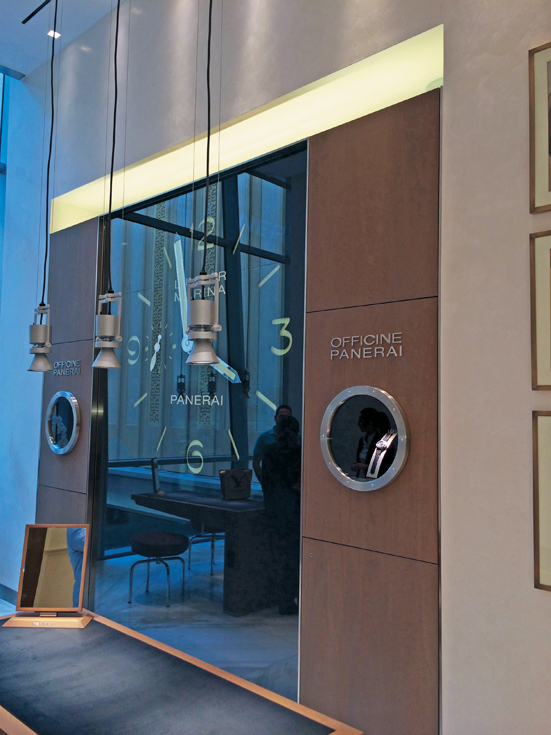 To emphasize on the historical link between Officine Panerai and the Italian Navy, shapes and materials used throughout the store evoke the world of the sea. The link of Panerai with the world of the sea is stressed in every detail. We notice the Teakwood that reminds us of the ships decks.You notice everywhere bronze used on boats, without forgetting the wiremesh recalling the marine net inserted between the double glazed windows, and to crown the whole decoration, the large wall clock Luminor Marina. Large windows introduce the light and emphasize the clarity and transparency of a shop designed in the sober and minimalist style. All finishing elements are designed for the customer’s comfort. This shop has a large presentation area and a VIP lounge. All materials and furniture used were imported from Italy to reflect the Florentine roots of the brand. 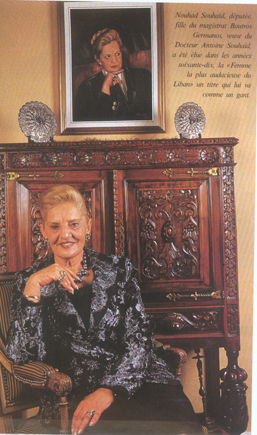 Interview collected in Dubai by MARCELLE NADIM. All materials and their forms evoke the world of the sea in this new shop. The link of Panerai with the world of the sea is recalled in every detail in order to emphasize the historical link between Officine Panerai and the Italian Navy . Panerai watches are distributed exclusively through an international network of haute horlogerie handpicked and in Panerai boutiques spread around the world, where it is possible not only to admire the exclusive collections of haute horlogerie brand, but also to the acquisition of prestigious watches in special edition reserved to the shops customers. 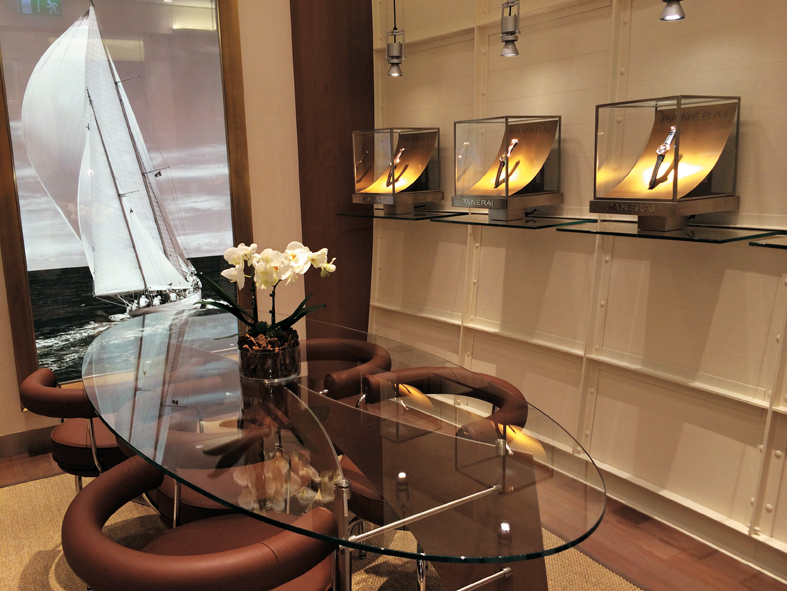 All in the VIP lounge of the store reminds us of sailboats and the marine world. The Luminor Marina large wall clock stands on a large wall of the store, with its legendary dial “sandwich” consisting of two plates between which was inserted a layer of Super- LumiNova luminescent substance which facilitates reading indexes and numbers in the dark. Each Panerai watch is made in the factory of Neuchâtel, in Switzerland, where Officine Panerai designs, develops and produces movements and watchcases which are then assembled in the factory, through a process of production where each phase is supervised by a rigorous quality control. 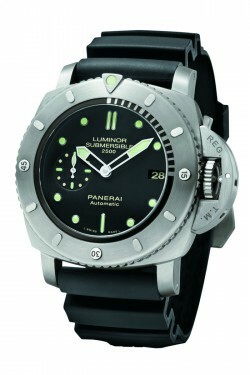 Luminor Submersible 1950 3 Days Automatic 2500m Titanio . 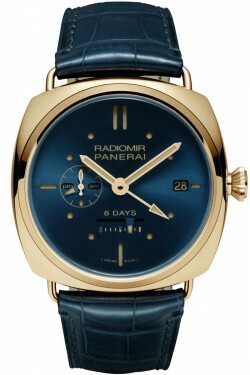 Radiomir 8 Days GMT Oro Rosso.